According to reports and statistics, about 22% people spend less than 5 seconds on a particular website. However, they’re pretty willing to watch a video online for about 2.7 minutes. The television commercials are 15-20 seconds long and people usually watch them without irritation. Then can you imagine how much traffic you could increase for your website by adding videos that are relevant to the theme of your website? 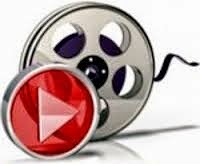 Yes, video is a powerful tool to enhance your SEO efforts and increase the visibility of the site. But if a video plays and there’s no one to hear it, will it improve your website in any way? No! Check out some vital video marketing strategies that will boost your traffic as well as your returns. Focus on the video’s quality: Before you know how you can drive the visitors straightaway to the content, you have to ensure that the content that you offer is worthy enough for the attention of the visitors. If the sound quality of the video is poor or it has a poor script that makes you sound like a drunk, you can’t keep them to watch it for the next 2.7 minutes. Hence, the video content needs to be appealing, real-time and simple. Another thing that you need to count is the number of likes, comments and shares that the video is getting. The more are the number of likes, the better will be the engagement. Viral sharing can boost the number of shares. Optimize the language that you use in the video: Remember that Google usually reads words to determine the content. So, you should use the exact search phrases to describe the content and this will go a long way in helping you in getting your content ranked higher in the search engine results. Write down a script for the video and upload a transcript. Google usually reads the transcript of the video and so have to make sure that you write a solid script and say the key phrase in the video. Use YouTube to embed and host the videos: YouTube is an easy way of hosting videos and this is also the second-largest search engine after Google. If you wish to make your video rank in Bing, you will also want it to rank in YouTube. Create a rich-media content page on the page to support the embedded video. The content landing page should include the embedded video. Rich-media landing pages are often engaging and they offer a strong user experience. YouTube ranking factor and the number of views on the videos that are received on the landing page are huge factors that count towards the overall YouTube video view-count. Create sitemap for videos: If you try including a video into your website, you should ensure creating and submitting a sitemap. It will become easier for the search engines to locate and index your videos. The SERP results will also be better and more people will watch the video on your website rather than switching to YouTube. Therefore, when you’re eager to boost your SEO efforts, you can switch to video marketing. Follow the above mentioned tips to ensure best results.